U. of I. journalism professor Stephanie Craft has focused much of her recent work on news media literacy, trying to understand what people know about the news media and how it works, and how that influences attitudes about politics and civic engagement. CHAMPAIGN, Ill. — The more you know about the news media and how it works, the less likely you are to believe conspiracy theories – even ones you might find politically tempting. 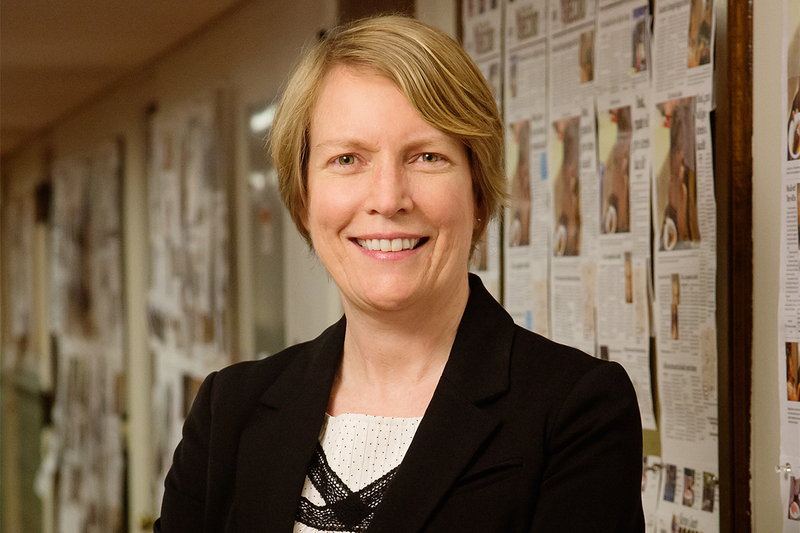 That’s the conclusion University of Illinois journalism professor Stephanie Craft and her research colleagues reached in a study being published next month in the journal Communication and the Public. The researchers surveyed nearly 400 participants online in spring 2016 to gauge how their news media literacy – measured as a combination of news media knowledge and psychological traits connected with processing news messages – might relate to their endorsement of conspiracy theories. Craft believes their research is the first to make that connection. But what Craft found even more interesting, and encouraging, were findings that showed it applied even where conspiracy theories resonated with an individual’s political beliefs. The study asked participants about the strength of their belief in any of 10 conspiracy theories, split evenly between those associated with liberal and conservative perspectives. It also asked separate questions to determine participants’ ideological beliefs. The researchers found that liberals with higher news media literacy were less likely to believe any or all of the five liberal conspiracy theories – among them that the federal government knew about the 9/11 terrorist attacks beforehand, that Republicans stole the 2004 presidential election through voter fraud in Ohio, and that there’s a link between childhood vaccines and autism. Likewise, conservatives with higher news media literacy were less likely to believe five conspiracy theories commonly associated with conservatives – among them that Barack Obama was not born in the U.S., that global warming is a hoax, and that the 2010 health care law authorized government panels to make end-of-life decisions for people on Medicare. Co-authors of the study are Seth Ashley, a professor of communication at Boise State University, and Adam Maksl, a professor of journalism and media at Indiana University Southeast. All three co-authors previously worked together to develop the measure of news media literacy used in the study and have done additional work on the topic. The 397 participants in the survey were recruited using Amazon’s Mechanical Turk system. Based on a measure of political ideology, 195 were identified as liberal, 126 as conservative and 76 could not be identified as either liberal or conservative. But given those factors and others that might play a part in conspiracy theory endorsement, Craft said she was encouraged to find that promoting greater news media literacy might have a small-but-significant effect. "To the extent that we’ve hit on one thing that seems to matter in a nontrivial kind of way, that represents some sort of progress,” she said. To reach Stephanie Craft, call 217-244-4608; email scraft@illinois.edu. Craft also addressed the subject of news media literacy in this February 2017 Q&A: Is it possible to be news literate in a ‘fake news’ world?